Echo Park –– For more than 50 years, kids and their parents have trekked to a cinderblock building at the southern edge of Echo Park to attend the magical productions created by the late puppeteer Bob Baker. 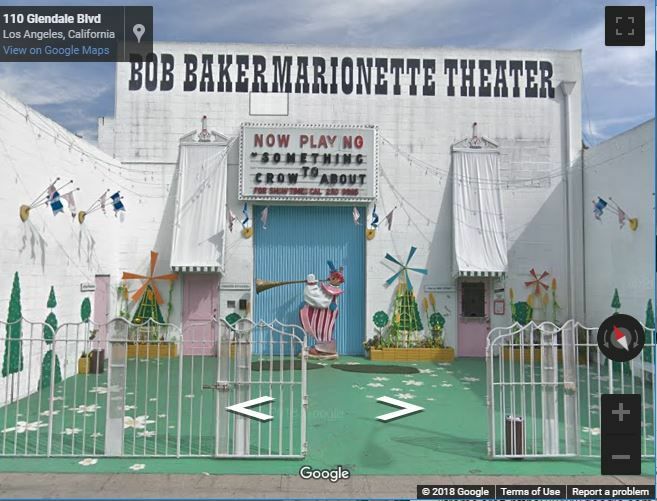 But that tradition will soon come to an end: The Bob Baker Marionette Theater has announced it’s closing after Thanksgiving. The decision was made as a developer prepares to transform the building at Glendale Boulevard and 1st Street into a residential projects with 104 units. There had been plans and talk about resuming some type of performances at the site in addition to opening a small museum and workshops once construction was completed. But now the theater company intends to find a new location as they stage productions around the city. The last performance at the theater’s longtime home will be held on November 23. But new performances have been scheduled to take place at the Pasadena Playhouse, the Santa Monica Pier and other locations. Baker died in 2014 at age 90.